Christina Evangeline knows first hand that losing a loved one is never easy. This is why she teamed up with her friends Michele and Jack, both therapists, to create Evermore! We all know that when we lose someone we love, the feelings are often indescribable, but generally we end up feeling all alone and we may even isolate ourselves from those around us and think that nobody will understand. Nothing is further from the truth. We need to be around others, even if it is only for a little bit at a time. Christina, understands how lucky she was to have therapists for best friends, they were essential to helping her cope with her loss. But not everyone is that lucky. So, she got together with her friends and talked about how they could help others cope through loss in a healthy way too. They wanted a safe environment where people could come together with others who were going through the same thing, but to be able to do it in a relaxing environment. That is how Christina Evangeline and her friends founded Evermore. 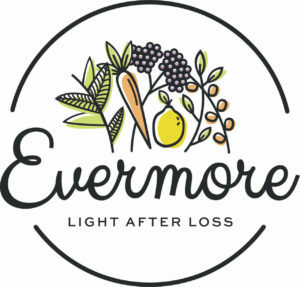 Evermore is a dinner party for anyone who is trying to cope and move on after losing a loved one. This is not a pity party by any means. It is simply a chance to meet and identify with others who have been faced with similar experiences. We never want to forget the people that we’ve lost, but we want to find a way to move on as our life moves forward and bring their memory with us in a healthy and happy way. That is what we are here to celebrate! If you think that this is something you would be interested in, but do not feel like you are ready to share, that’s absolutely fine. Just being there is sometimes all that counts and is an active engagement in the process of healing. We hope that you will consider joining an Evermore event near you. If you cannot find one, we hope you will consider starting one yourself. Just email Christina Evangeline and the rest of the team at info@evermorenyc.com for more information on how to get started.